Tarah Jakubiak (@allergictravelr) is an extraordinary individual. Rather than letting a life threatening allergy diminish her life experience, she hit it head on an came up with an excellent idea in the process. 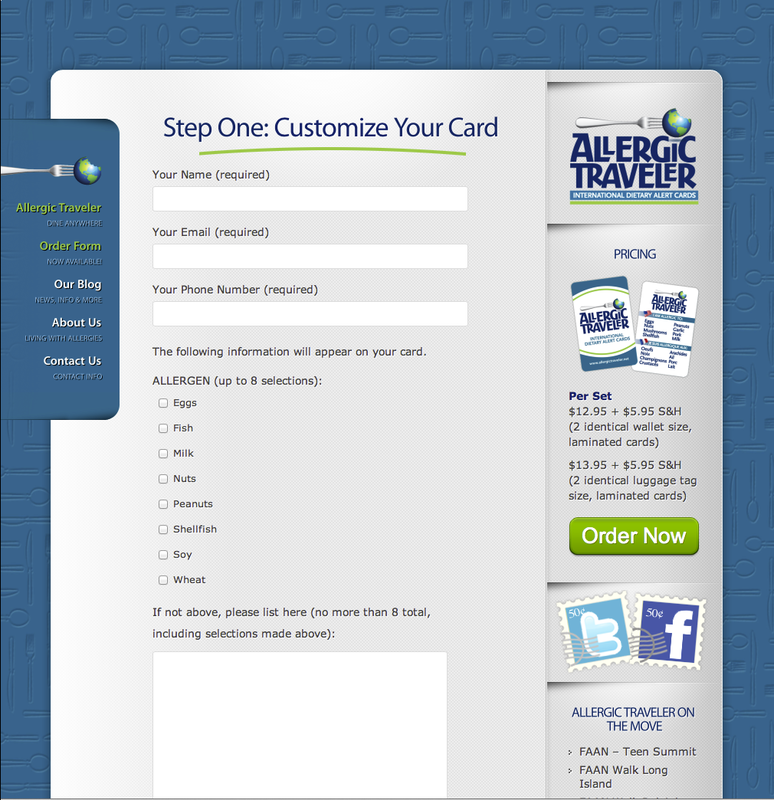 The Allergic Traveler website provides provides cards that are customized to an individuals specific food allergies and translated by Tarah into one of the 15 different languages she is fluent in. This is not a generic, program-based translation, this is the real thing. 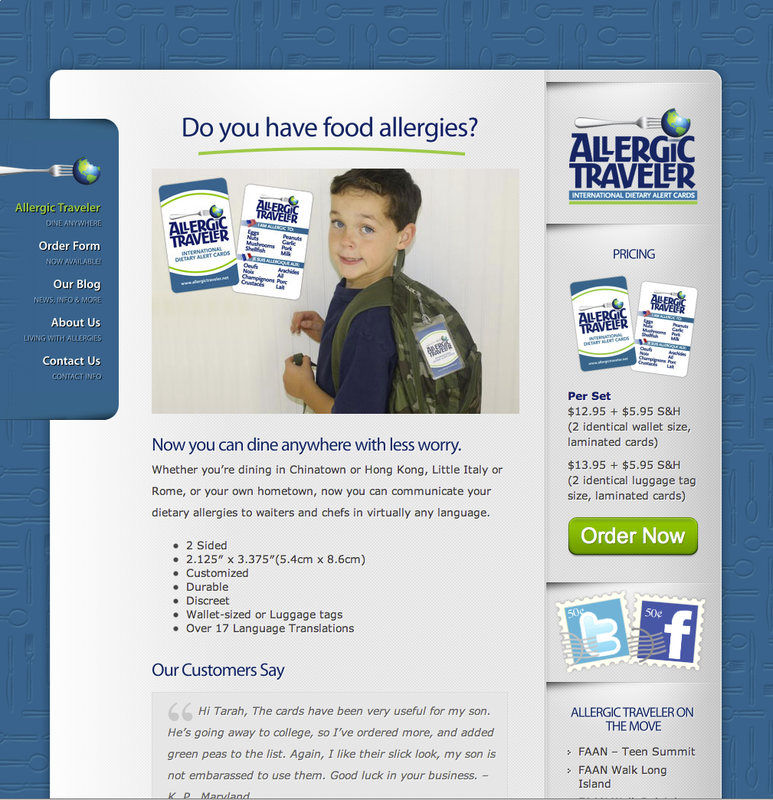 This site is built on the WordPress platform and uses Elegant Themes framework. The base theme is Memoir with some custom CSS and plugins added. Logo & Brand credit goes to Julie Staton of Staton Creative (who, by the way, is a joy to work with).